Many hospitals, clinics and doctor’s offices require nurses, doctors and medical assistants to wear medical scrubs or uniforms. Wearing a nursing uniform, now-a-days – medical scrubs, allows patients and their families to recognize the medical professional by their clothing. Gone are the days of nurses wearing crisp white uniforms with a small hat precariously perched on their heads. 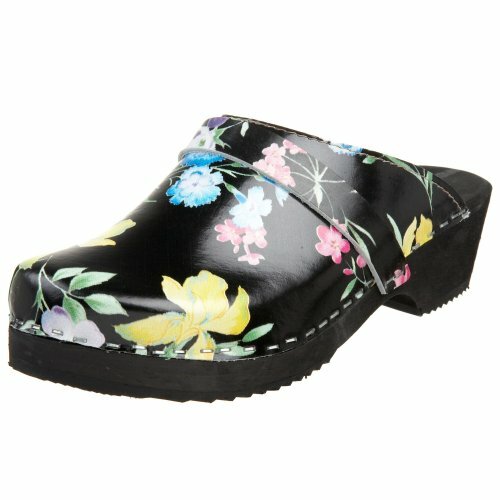 Medical scrubs offer freedom of movement and comfort while working at a highly demanding job. Sometimes the medical profession can get downright messy. Nurses, assistants and doctors frequently come in contact with body fluids, the most common being blood. Bloodstains can ruin your scrubs and make you never want to wear them again because the stains are obvious and can be difficult to remove depending on how long they have been on the fabric and whether or not the scrubs have been dried in a clothes dryer. It isn’t always convenient or possible to treat the blood-stain as soon as it happens, especially if you are in the middle of an emergency situation. Treating the stain as soon as possible after the blood hits the fabric , in part, determines if you will have success or not. The heat from a clothes dryer or clothes iron will set the stain permanently into the fabric fibers. Wet a clean white rag with cold water. Wring out the excess water from the rag. Lay the scrubs on a flat work surface. Place a second clean, white rag behind the blood-stain, folded neatly. Blot the stain to pull some of the blood out of the fabric. Do not rub the bloodstain because you will end up spreading it over the scrubs. Turn the rag to clean parts each time you blot the stain. Continue blotting until no blood comes off the scrubs onto the wet rag. Add cold water to a small bucket. Add a squirt of liquid dish washing soap. Stir the dish washing soap into the water until it is well bended. Leave the folded white rag behind the bloodstain. Dip a new, clean white rag into the soapy water. Wring out the excess water. Blot the stain to thoroughly saturate it. Allow the soap and water to remain on the blood-stain for 10 to 15 minutes. Wet a white rag in cold water and blot the blood-stain to remove more excess blood. Add ½ teaspoon of household ammonia to the soapy water and stir to blend. Dip the rag into the water and blot the blood-stain several times. Let the ammonia remain on the stains for five to 10 minutes. Blot the stain with a rag dipped in cold water until the bloodstains are no longer visible. Measure 1 cup of cold water and add 1 teaspoon of salt. Stir the water until the salt dissolves. Saturate the blood stain with the salty water and let it dry completely. After the salt water dries, turn the scrubs inside out. Turn the faucet onto cold. Rinse the bloodstain from the opposite side of the stain to push the blood out of the scrub’s fabric from the wrong side. Add 2 tablespoons of Oxi-Clean to a small bowl. Add cold water while stirring constantly until the Oxi-Clean becomes a thin paste. 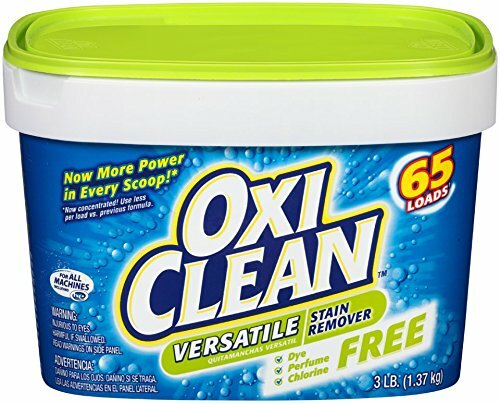 Spread the Oxi-Clean paste over the blood stains. Let the Oxi-Clean remain on the scrubs for two to three hours. Rinse the Oxi-Clean off the surface of the scrubs. 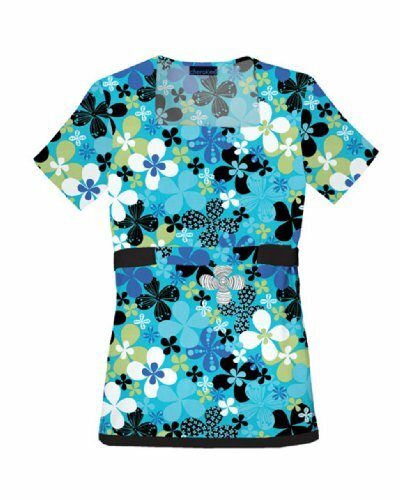 Always test a hidden area of the scrubs or nursing uniform for colorfastness before spreadingthe paste over a large or noticeable area. Stretch the scrubs or nurses uniform over a small bucket or plastic container with the wrong side of the stain facing up. Uncap a bottle of hydrogen peroxide. Pour the hydrogen peroxide directly from the bottle onto the blood stains to thoroughly saturate the blood. Let the hydrogen peroxide site for a minute or two. Wet an old toothbrush or soft bristle scrub brush with cold water. Lightly scrub the bloodstain, beginning at the outer edges of the bloodstain and working your way toward the center. Rinse the bloodstain with cold, running water. Blot the stain with a clean white rag until no blood comes off on the rag. Pour more hydrogen peroxide over the blood stain, wait a minute or two and scrub with a soft brush. Rinse the fabric with cold running water. While still at work, as soon as the emergency is over, rinse the stain with club soda to help to keep it from setting into the fabric fibers. Pour the club soda from the wrong side of the blood, through the fabric to help push the stain out of the fibers. Blot the wet area with a paper towel. Spit onto a sterile gauze pad and dab the bloodstains. Saliva is one of the best remedies for blood stain removal. 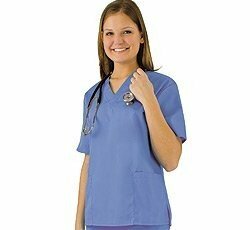 Wash the scrubs or uniforms according to the manufacturer’s directions, which are written on the care label. If the stains are light, start the treatment process again. If the color of the blood stains haven’t budged, they probably won’t. Some blood stains, no matter how hard you try will not come out of the fabric for several reasons. If the bloodstained scrubs or uniforms were dried in a clothes dryer or ironed, the blood will set permanently into the fabric fibers, making it necessary to buy new scrubs. If you ran hot water or blotted the blood stains with hot water you will most likely set the stain into the fabric fibers. 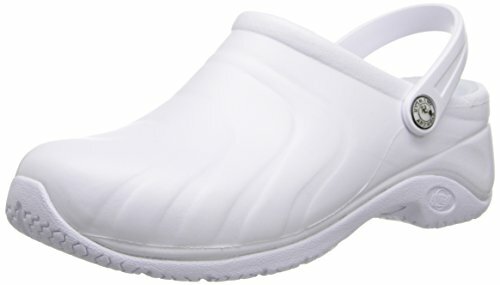 Only use cold water and white rags to clean the bloodstains from medical scrubs and uniforms.